Boston Biomedical Associates provides medical device and biomedical companies with comprehensive, proven methodologies to help bring new technologies to market, on time, on budget, and with greater efficiency. 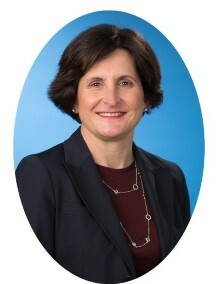 Dr. Baker is the President and Owner of Boston Biomedical Associates (BBA). She established BBA in 2000 after an extensive career of nearly 10 years running the corporate clinical research group for Boston Scientific. Prior to BSC, she was employed as a Research Assistant Professor at the University of Massachusetts Medical School where she worked in the Cardiac and Vascular Surgery Departments. She has served as a Professor in Mechanical Engineering at Worcester Polytechnic Institute and has established herself as a leader in clinical research in a variety of medical areas including cardiovascular, neurovascular, orthopedics, GI and GU. Dr. Baker is a licensed professional engineer and holds a BS in Chemical Engineering and a Masters and PhD in Mechanical Engineering with an emphasis in Biomedical Engineering. She has received her degrees from Worcester Polytechnic Institute and her research was performed in the Vascular Surgery Department at UMASS Medical School. CEOCFO: Dr. Baker, what was the vision when you started Boston Biomedical and where is the company today? Dr. Baker: I started Boston Biomedical Associates in 2000 and my vision at that point was to be able to engage with new medical device manufacturers in partnering to aid them in the development of new, novel therapeutic options for patients and caregivers. That vision has been realized. I think we have expanded beyond my initial vision of the company to go to more than just therapeutic but also to include diagnostic medical devices as well as biotech products, not just pure medical device but also drug device combinations, in vitro diagnostics, biologics and other biotechnology platforms. We have extended beyond the venture-backed startup companies to also partner with the larger medical product manufacturers and to also assist the venture capital marketplace as well in identifying new novel therapeutic and diagnostic products that may be best suited to their needs as well as the needs of the medical community. CEOCFO: Would you give us an example of one or two typical engagements for you? Dr. Baker: I can give you an example from one end of the spectrum to the other. For the small entrepreneur that has received their initial angel investment, I have a perfect example. I worked with a company and engaged with the inventor and marketing assistant that was going out to secure investment funds. I partnered with them in 2003 to help define their regulatory and clinical requirements. Together we strategized on what the critical steps would be in developing this new product that this young entrepreneur had conceptualized in his garage. We partnered for many years and I helped them with their engagements with funding organizations and venture capital, and I spoke with their potential investors. I also aided them when they grew the company and worked with them to be their representative with the FDA and clinical sites, developed all their clinical and regulatory strategies and then implemented their clinical programs for them as well as writing all of their submissions. We then continued to partner with them as they went through an IPO, and now we are the organization that is running their pivotal clinical trial for support of eventual launch of the product in the US market. That is a little company that started with three or four employees and is now a publicly traded company with 50+ or 60+ employees. When they launched internationally we helped them with their international launch plans and with their regulatory and clinical strategies, and we are now extremely integral in their pivotal clinical trial here in the United States. That is like the little guy who has a big idea. We have seen and assisted a lot of companies through their acquisition by a bigger manufacturer such as the Boston Scientifics and the Medtronics of the world that partner with some of the little entrepreneurial companies that are venture backed. They also receive funding from some of the more strategic investors, and then they are acquired by those large companies and we have continued on as being the execution arm of those clinical trials. We are shifting our emphasis from working for a little venture capital-backed company to a very large, strategic manufacturer. CEOCFO: What do you understand about various processes that perhaps other companies do not quite recognize as well? Dr. Baker: I think that the unique piece or feature that we bring to the table that some of the other CROs do not necessarily have is the vision or the understanding of both the regulatory and the implications on regulatory to the marketing side of things. I think we bring a more comprehensive approach to the way we partner with companies. We will not only bring them a pure, regulatory strategy that says this is a PMA or a 510(k)product, but we bring to that the interpretation of market penetration and understanding the needs of the physician, who the best customers would be, and how to position this most appropriately for wide adoption and to understand the best indication statement to optimize ultimate market penetration and market acceptance. That is a little bit different than running their clinical trial for them, enrolling 500 patients and monitoring them. We also pay close attention to what the data is showing, especially in the pilot phase. We are not shy about informing our client that they have something that might need to be revaluated. We would raise our hand if we see something either on the safety or the efficacy side that they should particularly pay close attention to. I am not sure this is a service that most CROs will discuss. We very much tend to be in the mix. We are more an extension of a company�s internal organization and maybe a little bit beyond. We are much more assertive with our clients. Some clients really love that. I think that the clients that enjoy working with BBA are the ones that appreciate the experience that we bring to the table. We have been doing this a long time and we have helped a lot of companies get through the process. I have a background in engineering, so I can critically evaluate products and product malfunctions or product nuances that might not be totally acceptable to the clinician or the end user if it not a clinician. I think that is a unique feature as well. CEOCFO: When you are speaking with a prospective client, is there an aha moment when they understand the difference? Dr. Baker: Yes, absolutely. I think the savvy CEO of an entrepreneur company understands that there is difference between a widget CRO that will do 25 site initiations, completing a report and then bill the client, versus somebody from BBA who discusses the criticality of identifying the right site with the right capabilities and the features to execute the study. It is about partnering with the clinical trial site to complete the trial safely, and within the protocol. That is different than doing a site initiation visit and having it take six hours and costing x amount of dollars. We speak more about the criteria and the methodology that we use, which is somewhat of a departure from a standard, large CRO service provider. CEOCFO: Are there particular projects or types of services that you like to work on personally? Dr. Baker: Personally, I definitely am excited about the new unique, novel therapeutics. That is definitely something that is in my wheelhouse, particularly because I have a very strong mechanical engineering background. For me, it is the moving parts that get very exciting. I have worked in everything from cardiovascular to spine to GI, so it does not really matter from a medical application. It is more the type of product that I personally get excited about. We do everything from basic chemistry and in vitro diagnostics that are very burgeoning technologies to things that are mechanical widgets. For me, I love to see a mechanical widget more than a chemical formula on a table, but they each have a different area of interest for me. I guess I gravitate more toward the mechanical products. CEOCFO: What do you look for in your people, over and above whatever technical skills are needed, to ensure they understand the concept of going beyond and really being a partner? Dr. Baker: We joke about how difficult it is to get a job at BBA because you need to be such a unique individual and it is hard to be accepted into the BBA family. We definitely look for people with unique, assertive, out of the box thinking styles that have a basic scientific curiosity and are not just interested in coming to work every day and working their nine to five hours. For us, it is really that scientific curiosity and wanting to make an impact and difference in bringing new medical therapeutics and diagnostics to the forefront. At the end of the day, it is about partnering with our clients, but it is also about making a difference in the medical world. It may sound a little clich�, but at the end of the day we have definitely felt proud of a lot of new technologies that we have been a part of bringing to the forefront and making them available to the patients and clinicians. CEOCFO: What is different, if anything, under the Affordable Care Act environment? Dr. Baker: It is impacting the US healthcare overall. It is already seeing the impact that has been realized outside of the US in terms of new technologies. I have a lot of contact with venture capital companies that are trying to make investments, and many of those venture capital companies are now no longer in existence. I am fearful that the Affordable Care Act will impact the new technology coming to the forefront. It has slowed things down, and I think it will continue to do that. I think that 15 years ago when I first started this company, I never was involved with the reimbursement side of the business. Now, it is a major driver for whether products will even be examined for potential funding. It is the primary driver, and in some way I think there needs to be some leveling, but I think that I have seen the pendulum swing to really bring new technology to a stalemate. I think that will continue until we can get things more into calibration. I am fearful that you will start to see things shift and come to a crippling halt, which is unfortunate. CEOCFO: Business wise, how do you handle that potential downturn? Dr. Baker: We still offer a very unique service, and it is becoming more important for people like us who provide a very aggressive tact to executing a clinical trial that is unique in its construct and design to coming up with scientifically valid methodologies for clinical trials that can demonstrate safety and effectiveness in a very cost efficient manner. I think it is in some way helpful to have my clients work with someone like us, because we will think of more unique ways to achieve the end goal of a clinical trial that demonstrates safety and effectiveness, but we will do it in a way that is most cost efficient for them so that the new technology can be affordably brought to the forefront. Right now, it means a lot of negotiations with the FDA, which we happen to be pretty well-skilled at. That is one of the other feathers in our cap. We have been able to successfully negotiate some very unique clinical trial designs with the agency, and we do work pretty hard for our companies with the FDA. That is the key. CEOCFO: How do you make use of new technologies in all your evaluations and how do you weigh experience and gut instinct against statistics or facts? Dr. Baker: I really pride myself in the fact that we hire people who have a scientific curiosity. We are going to make sure that those people are looking and the project managers are actually paying attention to what the study is showing. I raise my hand and I have the instincts for when a trial is not enrolling as expected, so I am not just going to sit back and say we are going to sit there and let the trial go at a snail�s pace. I will raise my hand and say that the company needs to do something and I will offer to talk about changing the protocol. That is experience and that is where gut instinct takes over. I could have the best designed trial, but if I am not enrolling then something is wrong, and I am going to be the one that raises my hand and says we have to change something. I am not letting the client�s company sit there and flounder. That is experience. I can tell you that we do the same thing when there is a safety signal. We will raise our hand and say we have to talk and evaluate whether this is a safety concern or something where we need to retrain the investigators, modify the product or modify the site. These are examples of what a seasoned clinical trialist is, the safety profile, and the efficiency of clinical trial execution are the factors that come to the forefront over any p value. Safety and execution are what is going to be the guiding principle. Discussions with investigators can never be quantified by a statistical p value. Their input is the most critical to inform a product that is going to be a success. They know, and you have to be able to get that input and utilize that when you are working with a client. That is where the experience comes into play. We are also using and trying to use new technologies to make clinical trial execution and regulatory execution more affordable. With things like remote clinical monitoring, we totally adopt an electronic data capture and review. We are also trying to optimize the way the EDC platforms are structured so that we can have automated dashboards come out so it can look at a clinical trial in a snapshot to understand the big picture things like having a site in Des Moines, Iowa where I cannot enroll. Is it because it is Des Moines, Iowa or is it because it because of a personnel issue. We would then get on the phone with the site coordinator and figure out what we can do to jump start that site. It could be 1,000 different things, and those will all impact the trial getting completed in a timely manner and the product being accepted. CEOCFO: Why pay attention to Boston Biomedical? Dr. Baker: We offer something that is unique and that we are committed to our partners and committed to being unique in terms of negotiations with the agency and respective fast track to clinical trial development and execution.